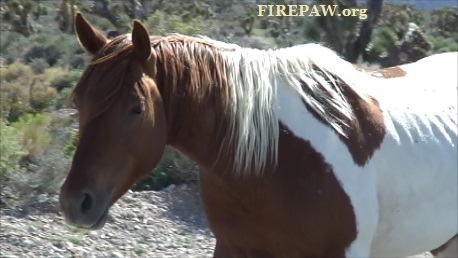 Horses use facial and voice cues to determine human’s emotional state – FIREPAW, Inc.
How do horses read human emotional cues? Researchers used the expectancy violation method to investigate whether horses cross-modally perceive human emotion by integrating facial expression and voice tone. They also tested whether the familiarity between the horse and the person affected the horse’s perception. The expectancy violation method has been used to study infant cognitive development. Horses were shown a picture of a happy facial expression or an angry facial expression on a screen, and they then heard a pre-recorded human voice — praising or scolding — from a speaker behind the screen. Horses received both the congruent condition, in which the emotional values of facial expression and voice tone were matched, and the incongruent condition, in which they were not. Results of the experiment showed that horses responded to voices 1.6 to 2.0 times faster in the incongruent condition than in the congruent condition regardless of familiarity of the person. In addition, the horses looked to the speaker 1.4 times longer in the incongruent condition than in the congruent condition when the person was familiar. These results suggest that horses integrate human facial expressions and voice tones to perceive human emotions, therefore an expectancy violation occurred when horses heard a human voice whose emotional value was not congruent with the human facial expression.